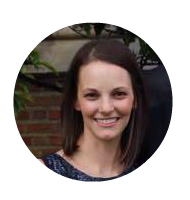 Bring a story to life by setting up activities based on the book. Have you heard or read, The Big Green Pocketbook by Candice Ransom? It has quickly become a favorite story to read around here, so I set up 7 hands-on learning activities for my preschooler inspired by the story! Little Sis received the book, The Big Green Pocketbook just before she turned 3. I had not read the book before, but knew it had to be a good one if it was part of the Before Five in a Row book list. Surprisingly, for a "longer" picture book, it quickly became a favorite! We loved spending a week with this precious book in our homeschool! To begin our Playful Preschool plans in November, we spent a week doing different activities to go along with The Big Green Pocketbook! Have you read,The Big Green Pocketbook before? It is really a sweet story about a mother and daughter going about town together. And as they do the little girl collects things from their journey to town. There is a surprising twist at the end of the story, so you'll have to read the book to find out what happens! Over the summer I purchased some citrus ice cubes and since the little girl in the story picked up some orange slices for daddy at the store, I made a little patterned task tray using the ice cubes. The little girl and her mom stopped at the bank "where the cool marble walls smelled like pennies...." There's a few ways to play this money math game, but for Little Sis we used this game to work on fine motor and counting skills using our play coin set. To incorporate the little girls shirt covered in shapes. On a blank canvas, Little Sis stamped triangles, squares, and circles using paint. While at the insurance office, the little girl "typed her name first in big letters, then in little letters." I added a squirt of blue and green paint into a zip lock bag, and had little sis squish them around to make green. Using a large piece of green foam, I folded it in half and cut out the purse shape, then used a hole punch to punch holes around it. With the book and tray full of story elements, Little Sis and I sat together on the couch and read the book. As I read, she added the items to her purse. We had felt lollipops, punched tickets, key chain, orange slices, a calendar, crayons, etc! In the end, it was a wonderful week! To top it all off, the whole family went to an old-fashioned ice cream shop just like the little girl did with her mom in the story, The Big Green Pocketbook. Our ice cream wasn't square shaped, but it was a fun and yummy family outing! 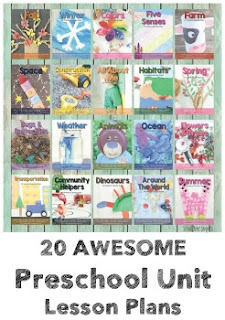 I'm just in awe over how many activities we did from one storybook! There were so many hands-on opportunities to learn and play. 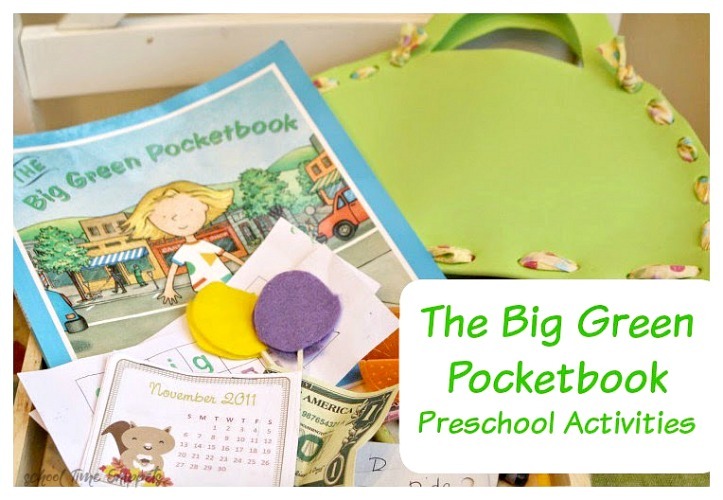 Grab a copy of The Big Green Pocketbook with your little one and enjoy!